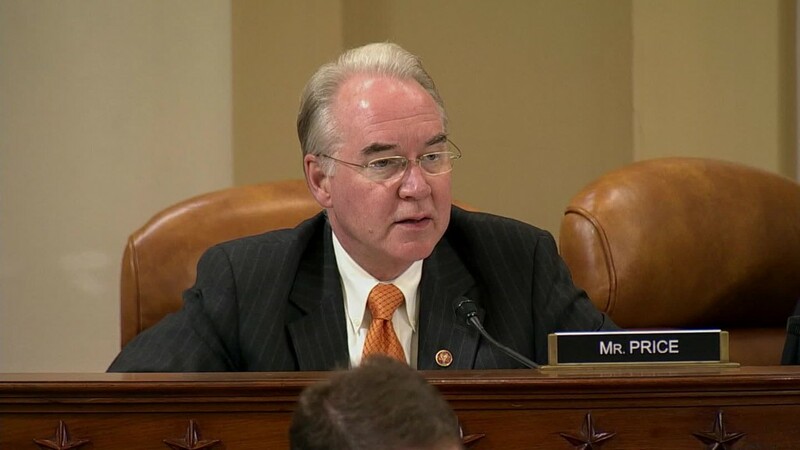 Nearly half of voters in last month's election think Obamacare went too far, and their favored candidate has promised to repeal it as one of his first acts next month. But Donald Trump's supporters are among those who have benefited the most from the health care reform law, and they stand the most to lose from its repeal. If Obamacare were dismantled, the number of uninsured Americans would rise to 58.7 million in 2019, a jump of nearly 30 million, according to a new study from the Urban Institute. The study did not look at the impact of replacement options since no detailed plans have been provided. Whites and those without college degrees have been among the biggest winners under Obamacare, in terms of gaining coverage, said Linda Blumberg, senior fellow in the Health Policy Center at the Urban Institute. So these groups dominate the share of people who would lose out if the law were repealed. 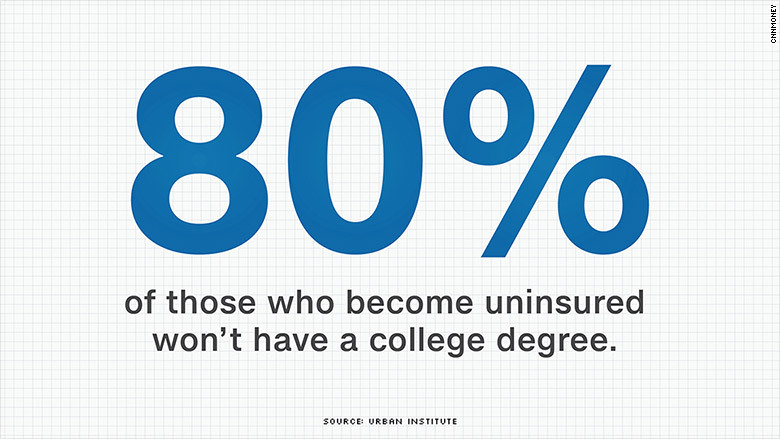 Some 80% of those who would become uninsured lack college degrees, the study found. Three in 10 high school grads would not have insurance, up from 16%, while 24% of those with some college education would become uninsured, up from 11%. Trump won big among both of these groups on Election Day last month. Among those with a high school degree or less, Trump claimed 51% of the vote, compared to 46% for rival Hillary Clinton, according to exit poll data. Those with some college credits supported Trump by a 51% to 43% divide. 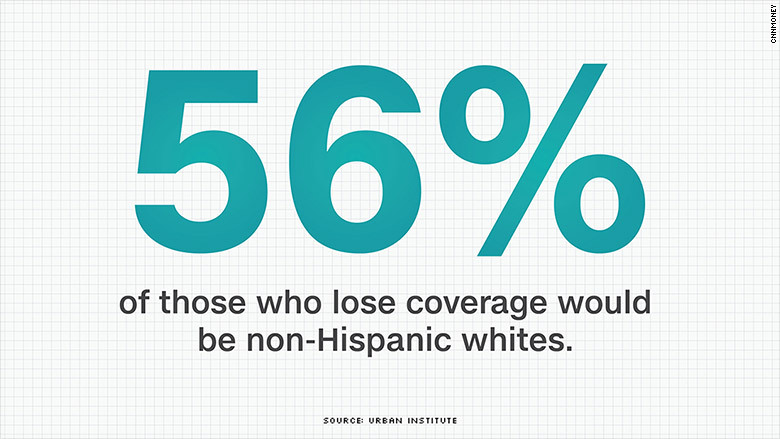 The Urban Institute also found that 56% of the newly uninsured would be non-Hispanic whites. Their uninsured rate would soar to 18%, up from 7%. White Americans backed Trump over Clinton by a 57% to 37% split. Clinton supporters, however, would also suffer if Obamacare were dismantled. Lower income and younger Americans, who sided with Clinton last month, would also be more likely to lose coverage. Americans age 18 to 44 would make up 54% of those who would become uninsured. They backed Clinton by a 53% to 39% margin. Lower- and moderate-income folks also would be hit hard, since they benefit the most from Medicaid expansion and the Obamacare subsidies. And voters earning $50,000 or less cast their ballot for Clinton.